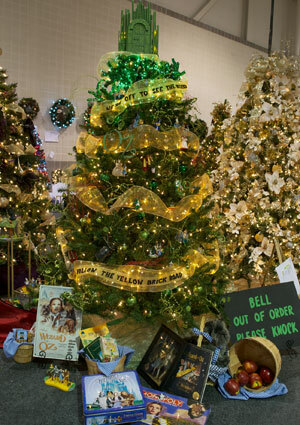 This magical tree was donated and decorated by the Akron Children’s Hospital Foundation, and features Wizard of Oz ornaments and figurines and features its very own Emerald City tree topper. 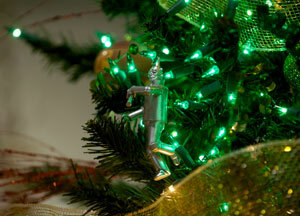 Throughout the years, Wizard of Oz trees have been a staple of the Holiday Tree Festival. The 30th annual Holiday Tree Festival is at the John S. Knight Center in Akron from Nov. 19-27, 2011. The festival will be open to the public Monday through Saturday, 10 a.m. – 9 p.m., Sunday, 11 a.m. – 6 p.m., and Thanksgiving Day, 2 – 6 p.m. This free event is organized by the volunteers of Akron Children’s Hospital and has raised more than $3.7 million to benefit the continued efforts of medical research, education and patient care programs at Akron Children’s Hospital. We encourage you to share your festival photos and memories via our blog, Facebook or Twitter, using #HTF30.